Ah, Mondays. I really love Mondays. 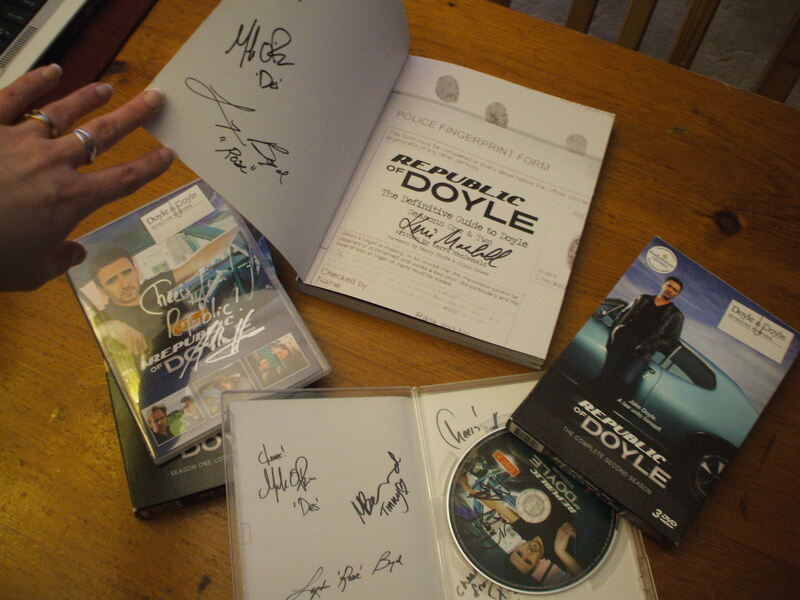 Okay, maybe not all Mondays, but definitely Mondays that arrive 3 days after my birthday and 2 days before the following Wednesday – aka Doyle Day, for any of you who are as big of a fan as I am of the CBC’s “Republic of Doyle”. “But why ever is this so” You say? Excellent question, ye clever little blog reader, excellent indeed. The answer lies in what I opened up in my mail this evening. Warning: You may want to be sitting down for this…. Now you diggin’ the Monday love-fest’? Thought so. But how did I get this Most Awesome of Awesome Hauls of Loot, you ask? Blame Stephanie Beaumont. It’s all her fault. Back in January when RoD’s Season 3 premiered, I entered a wee contest at SeaandBeScene.com (which Stephanie runs and it is fabulous and you should definitely check it out as soon as you finish reading) and well…. I WON! 🙂 Today – Monday – my wicked prize pack/Most Awesome of Awesome Loot Hauls arrived by mail and let me tell you, it is sooo all that and a freakin’ bag o’ chips, b’y! 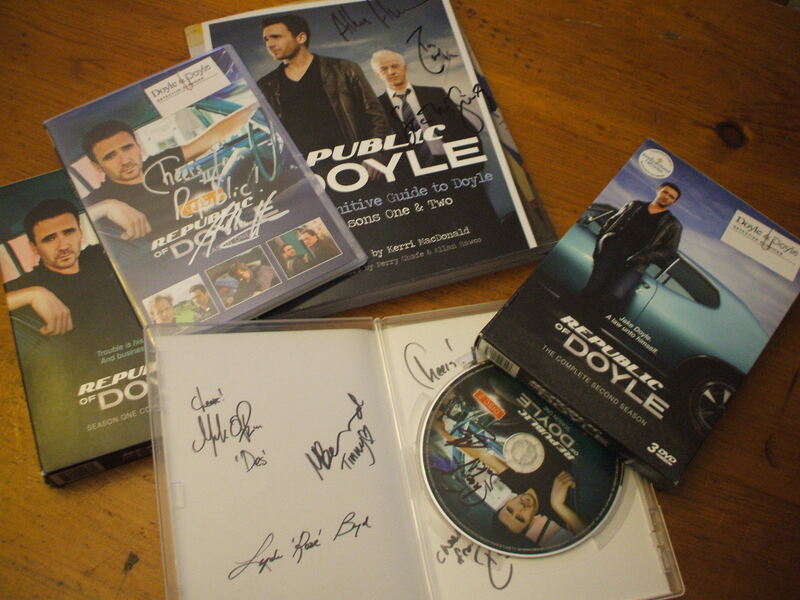 Season 1 and 2 on DVD and The Definitive Guide to Doyle all signed by cast, creators, and author and oh yes,even Jake Doyle. Can you spot it? HUGE thank you to Stephanie Beaumont at http://seaandbescene.com and everyone from the Republic of Doyle – Allan Hawco, Perry Chafe, Krystin Pellerin, Mark O’Brien, Marthe Bernard, Lynda Boyd, Sean McGinley and Kerri MacDonald- for completely making this fan’s (and her family’s) Monday. P.S. Don’t just take my word for it, people – check out episodes of Republic of Doyle on iTunes or at http://www.cbc.ca/republicofdoyle/ …um, like right now, guys…GO!